In the long tradition of Public Holiday weather, I had to dodge the showers in a biting cool breeze on my day out at the coast. 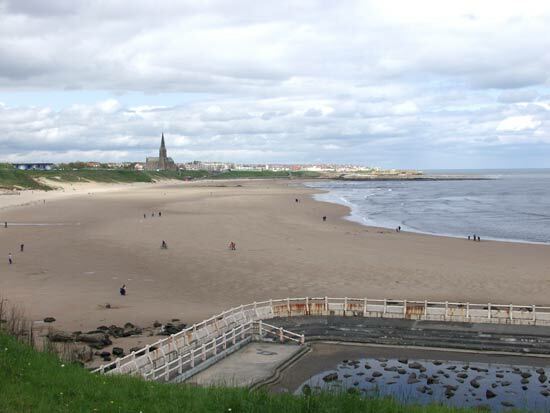 Newcastle upon Tyne is 20 Km from the North Sea. 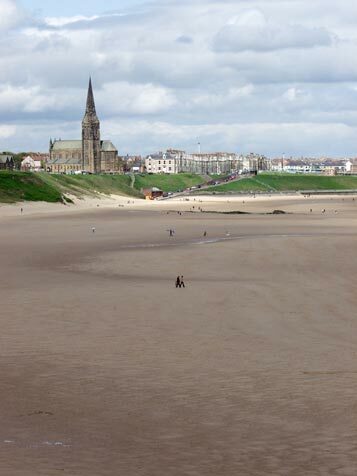 The mouth of the River Tyne flows into the sea at appropriately named Tynemouth, and north from there lies the once little fishing communities of Cullercoats and Whitley Bay. 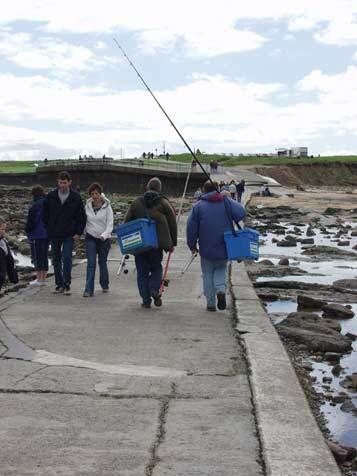 Fishing, however, has given way to tourism thanks to those sons of fun, the Victorians. 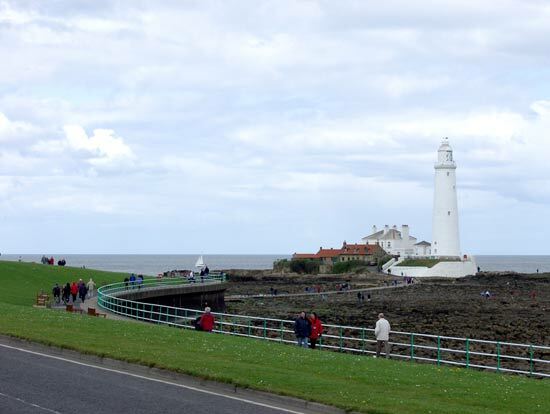 Just north of Whitley bay is St. Mary's Island with its prominent lighthouse. 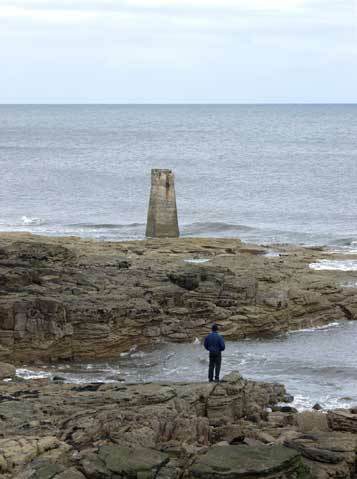 The Island was originally called Bait Island, and was a source of small flounders, lug worms and small crustaceans for the local fishing industry. It is still popular with fishers today. Low tide reveals not only the rocks and the resplendent shore life, but also the causeway to the island. That culvert on the right of the pathway carries electricity and telephone cables. 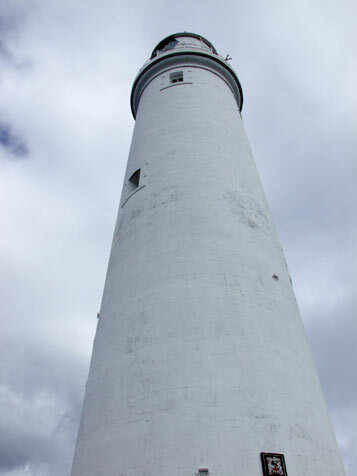 The lighthouse was built in 1896 to aid coastal navigation. 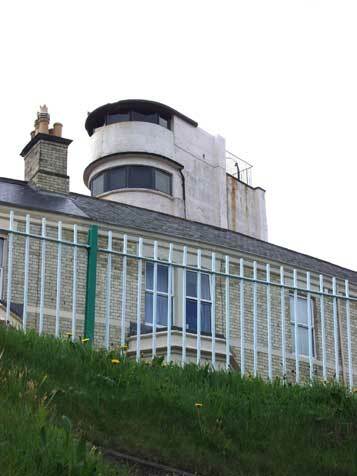 It is no longer a working beacon, but now houses a museum. Before the lighthouse was built, sailors were warned by a light in the small church on the island. The name St. Mary's comes from the tradition of mariners calling such warning lights as "Our Lady's Lights". Today's visitors can use two spacious car parks adjacent to a wetlands nature reserve. Earth mounds shield the birds form the roadway and the bustling humanity. A selection of hides allow visitors to see the birds, some here for the summer; others enjoying a stopover on their marathon migration. The promontory on the mainland adjoining the causeway is called Curry's Point. On September 4th 1739 Michael Curry was hanged for murdering the Three Horseshoes Inn landlord at Hartley. 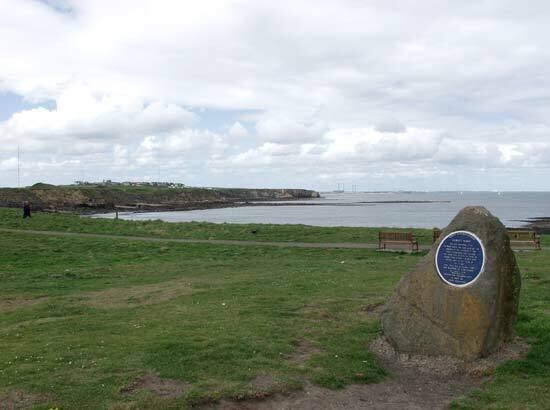 Afterwards, his body was suspended by chains on a gibbet near St. Mary's Island within sight of his crime, giving his name to this promontory. In the view below, Hartley can be seen across the bay, and the power station at Cambois on the horizon. 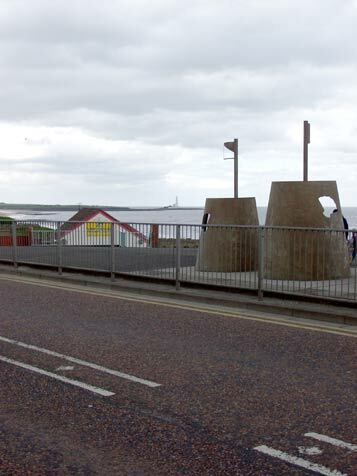 Further south in Whitely Bay Centre, these decorative tin sandcastles brighten a dull view. The town is a faded, under used resort. Its multitude of shoreline hotels and guest houses lie empty for most of the year and dilapidation is the order of the day. The local council has made a valiant effort in smartening the park, and the young people flock to a handful of licensed bars with a rotation of chic during the weekend evenings. 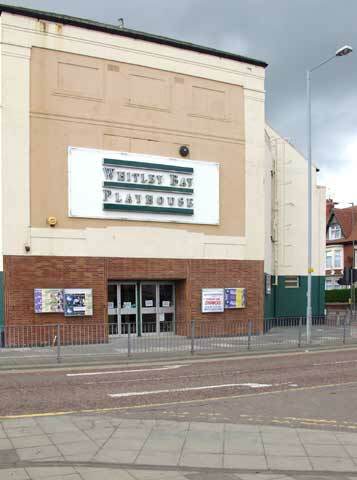 The Playhouse is a very ordinary theatre venue trying to be a regional centre. It is now isolated after the demolition of the adjacent indoor market. The future of the theatre is in doubt. It was here, in 1981, that I saw Julian Clary as the Joan Collins Fan Club with Fanny the Wonderdog! That was years before TV fame and fortune. 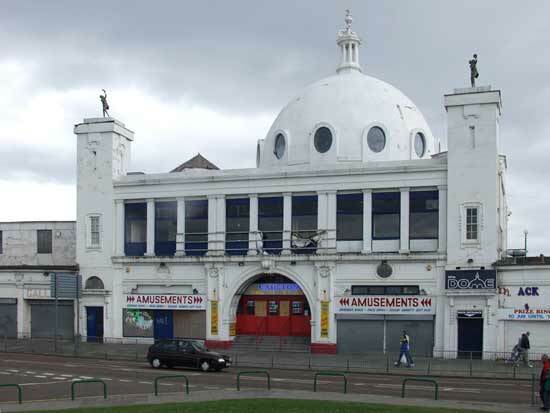 In an era of digital multi screens and other rival attractions and being situated on the margin of the Tyneside conurbation, the surprise is that this venue remains open. Below is a a view of "Spanish City" an indoor amusement park, now a jaded shadow of its former heyday. Its central dome and faintly hacienda style was meant to suggest sophistication in an era when none but the very rich could afford foreign travel. On some open land next to the domed building an open air fun fair offered thrills and spills galore, centred on the infamous "corkscrew" ride. This was closed two years ago and the land is now being developed as a new school. The 1990s timestamp is already noticable in the swirling roof, and I expect a round flat roofed tower will sprout somewhere. The fun and games have made way for education and edification. 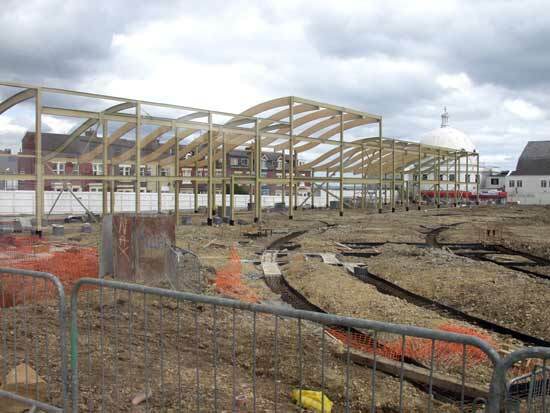 North Tyenside Council have employed Thornton-Firkin of Newcastle to design and oversee the building and contracted Kajima to carry out the construction of Marine Park School. Down the road at Cullercoats an original example of that 1930s style, so popular with the latest crop of architects, is showing signs of decay. The sandy beaches and the the little sheltered bay provide a location for recreation and water sports. 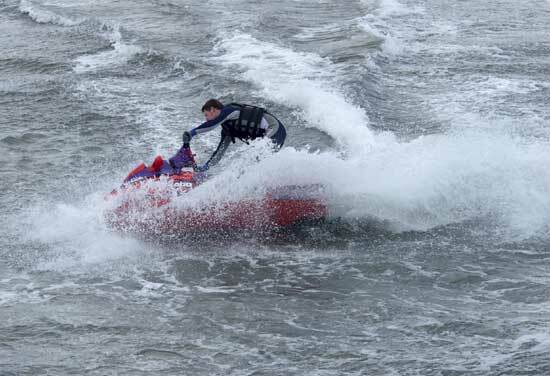 Today some jet-ski funsters were enjoying the day off with abandon. It seems to be the rule that a public holiday is an oasis of cloud, showers and wind surrounded by glorious weather. Our May Day holiday was no exception. Originally intended as a festival for the working people of this country, it was celebrated long before its official recognition by Prime Minister Harold Wilson's Labour government in the 1970s. Milk snatcher Thatcher's Tory values were offended by this and she threatened to scrap it, but even the Iron Lady realised the deep unpopularity that this would engender. Such sensibilities did not prevent her from wrecking the shipbuilding, steel, and coal industries, the lifeblood of our region, or levying unfair and ruinous taxes. Today I celebrate her and her party's demise and wish them every failure in the future! If you should arrive here via a search, or be missing the navigation on the left hand side, click this button.